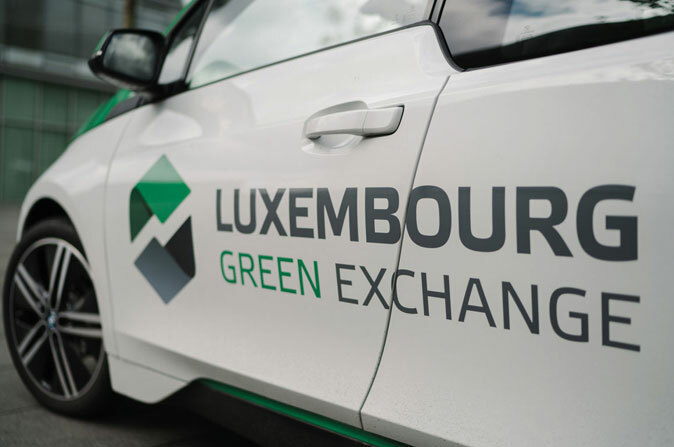 Electric carmakers are some of the companies that can use the Luxembourg Green Exchange to finance their growth. Luxembourg has taken up the global vanguard in melding climate concerns with financial technology, conducting pioneering firsts, including the launch of the world’s first green securities exchange and the EU’s first joint climate fund, which was co-created alongside the Luxembourg-based European Investment Bank. The Grand Duchy’s leading financiers credit this innovative spirit to the sector’s ability to adapt new technology to real-time global demand – all within the framework of rapidly changing regulations. “Because of its size, Luxembourg was always able to adapt quickly,” attests Guy Hoffmann, CEO of Raiffeisen Bank Luxembourg, the country’s largest cooperative bank. “We have thus been able to be quite innovative on a couple of issues, especially in fintech and green bonds,” he says, referring to the Luxembourg Green Exchange, which exclusively lists “green, social and sustainable securities,” according to the Luxembourg Stock Exchange, the project’s parent operator. The next step, de la Bachelerie says, is commitment, and Luxembourg could be the place that provides the political and financial willpower to groom a new breed of investors. “We have to create a relevant green tech ecosystem for this generation,” she asserts. “I believe it will be easier to create this in a small and engaged country, and that’s why I am convinced that Luxembourg could be the pilot of this new sustainable impact on the global financial ecosystem,” she says, adding that Société Générale has announced to establish a laboratory dedicated to green financial products in Luxembourg. For this revolution in finance to awaken, clients will need more accessibility first, as well as better digital platforms to communicate the pluses of investing in green securities. “Our challenge today will be to deliver both a personalized service in our branches and an online user experience expected of a solely digital bank,” comments Hoffmann. “That’s why we have invested in a new integrated IT platform, and why we were the first to switch from the classical hosting systems to operating one integrated platform,” he adds.